Launching Your Own Affiliate Program | Yenom Marketing Inc. The money also goes to your PayPal account, which can be another big benefit. But for people without PayPal accounts, PayDotCom isn’t going to work. You need a PayPal account to be paid, and you’ll also have to pay your affiliates out of your PayPal account, as well. Another easy solution for selling digital products is e-Junkie. 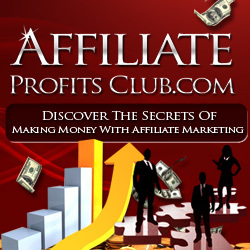 E-Junkie has an affiliate program built in, and they also host your product downloads. They’re very inexpensive to use, charging a monthly fee rather than high percentages. But not as many affiliates promote products through e-Junkie as through ClickBank or PayDotCom. Running your affiliate program can be very simple with a hosted solution. You might be tempted to use a script you host yourself, but it’s probably better to leave it to the pros. Don’t forget to create an affiliate toolbox, too! In order for your affiliate force to make sales, they’ll need readymade marketing materials such as banners, buttons, eCovers, emails, and articles they can use.